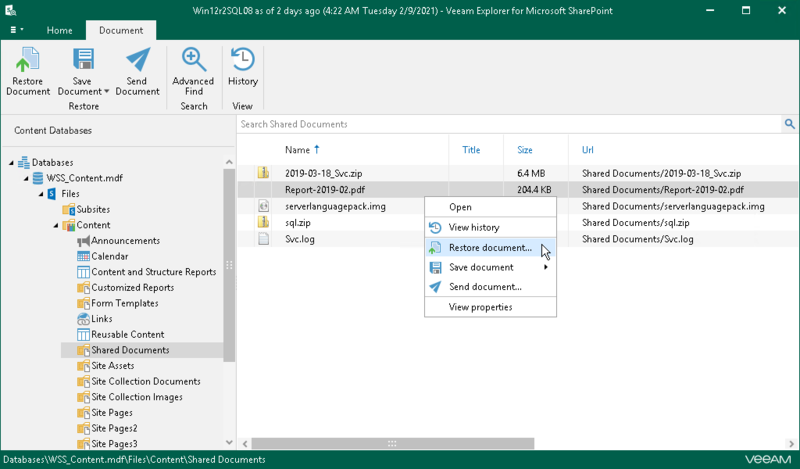 In the navigation pane, select a document or list item. On the Document tab, select Restore Document/Restore Item or right-click an object and select Restore Document/Restore Item. Proceed to Specify Target SharePoint. When restoring from Veeam Backup for Microsoft Office 365 backups, documents and lists can only be restored back to the source site they were backed up from; you cannot select another site.